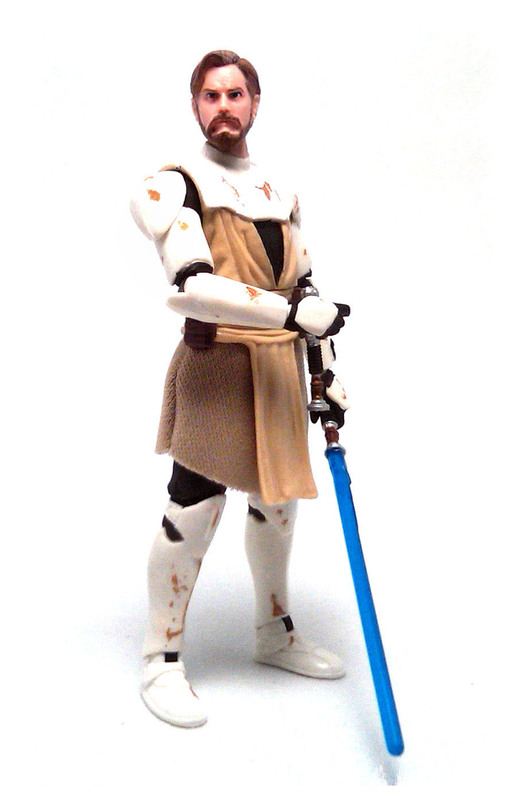 We got a rather disappointing version as part of a Battlepack in 2004 followed by a much superior one released in the first couple of waves from the Legacy Collection, as well as an animated-style figures from the current Clone Wars line, but as part of the last wave of the 2012 Star Wars Vintage Collection, Hasbro treated us to yet another armor-clad General Kenobi. 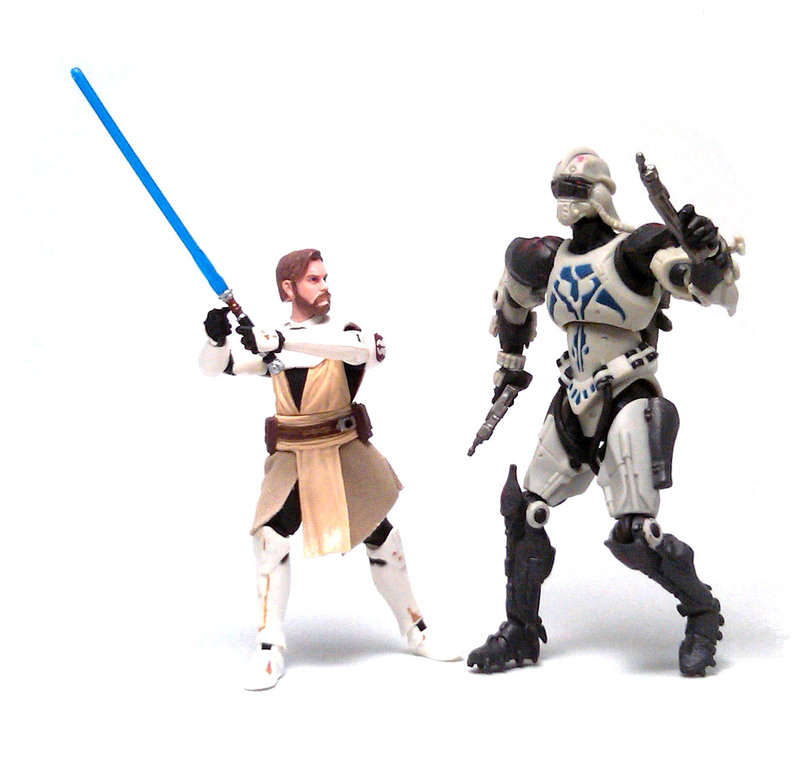 Even though this Obi-Wan Kenobi (VC103) is clad in clone armor, it doesn’t look like he shares pieces with any clone trooper action figure released thus far. The torso and head are obviously unique sculptures, but the armored arms and lower legs look bulkier than the limbs used for the newer clones and they seem to have much sharper details than the older designs. The head sculpt is a pretty decent likeness to Ewan McGregor circa Revenge of the Sith up to the tiny mole sculpted on his forehead, although his features look a bit more gaunt, as if he had been living off standard issue rations for quite a while. 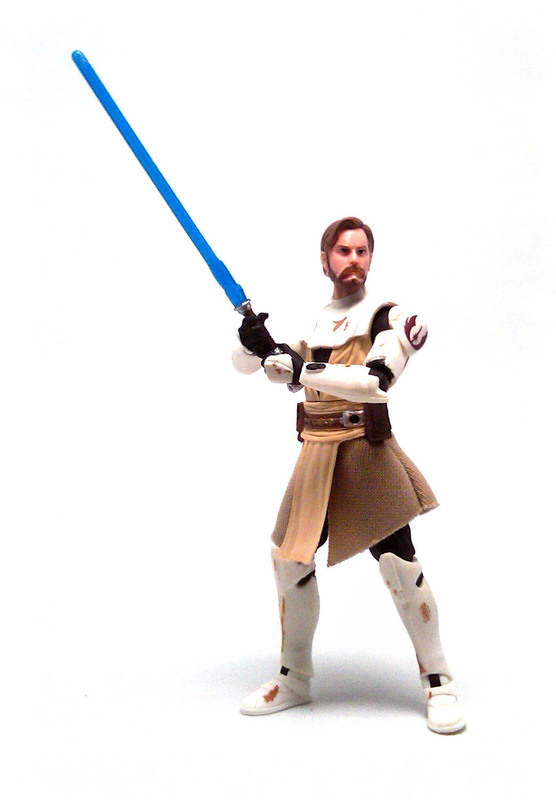 This Obi-Wan sports a fabric skirt to simulate the lower edge of his jedi tunic, as well as a flexible rubber belt/tabard piece with a hole to peg a lightsaber hilt into. This is a pretty consistent articulation design and the implementation is quite functional. On the recent Clone Wars styled Anakin Skywalker figure Hasbro included hinges at the wrists, but for most intents and purposes I find that simple swivel wrists is more than enough this time. 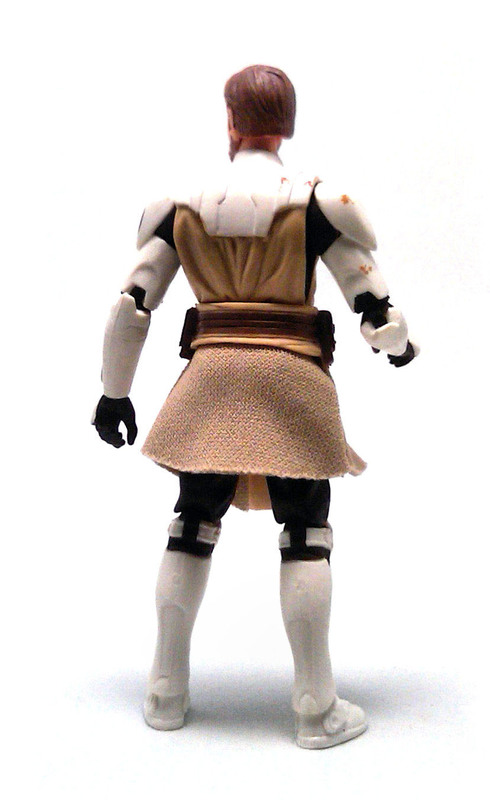 The paint applications on Kenobi are very neat and the armor shows some dirt stains that unfortunately don’t extend to the jedi robes, although the overall look is just fine. 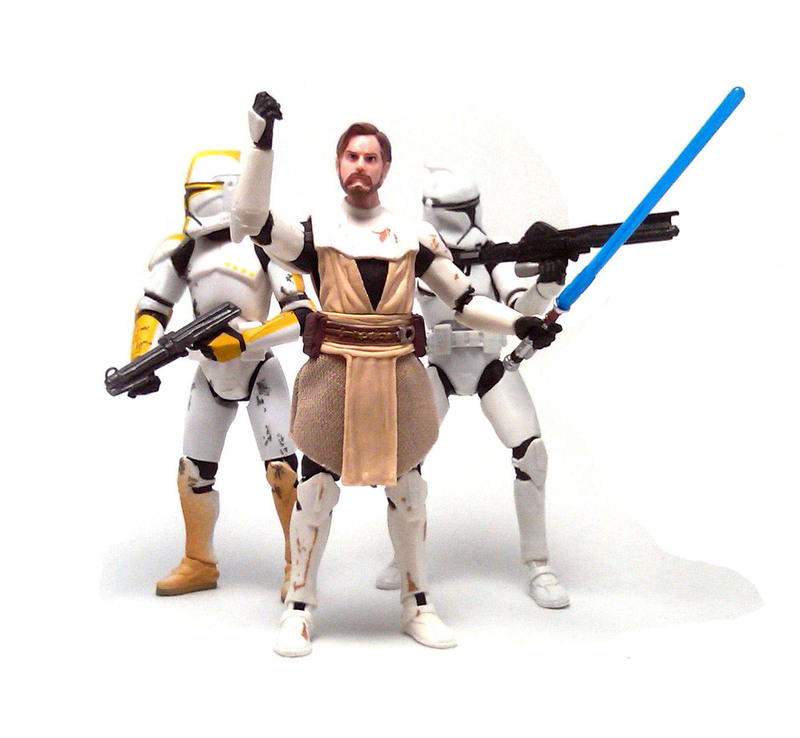 Obi-Wan comes equipped with a blue lightsaber and a deactivated silver hilt that can be affixed to his waist. As a side note, while the active lightsaber is made from fairly rigid plastic, the deactivated hilt is made from softer rubber, which would help in preventing the piece from breaking in the long run. 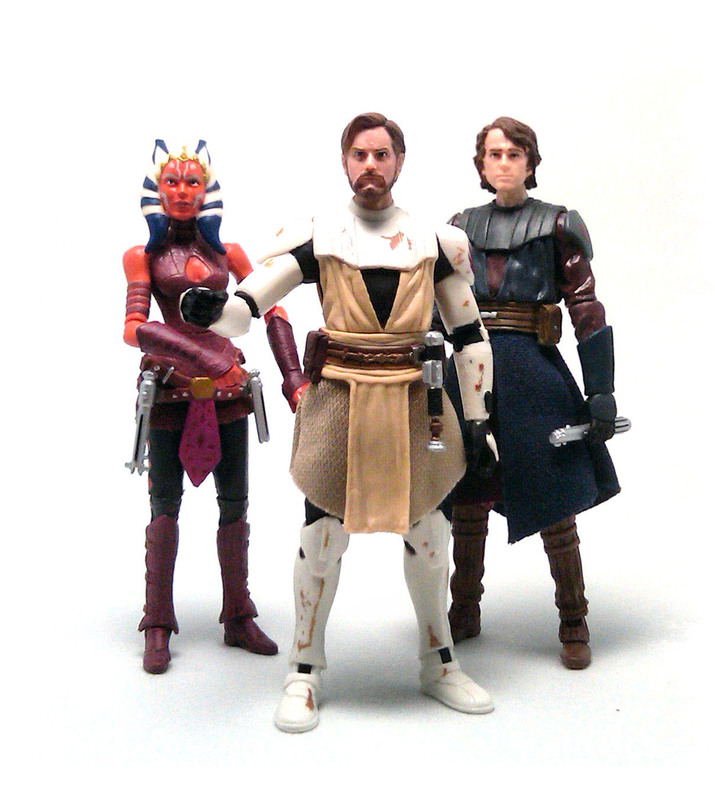 So, while a partially armored Obi-Wan Kenobi is not necessarily a groundbreaking concept anymore, I found out that this time the execution of it is quite a worthy addition to my collection.